Please download the Form you need and attach to your fabric. If shipping fabrics directly to me, please email/fax instruction sheet. 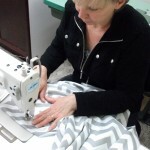 Thank you for choosing Lisa Sinclair Sewing for your sewing needs!